Amazon has launched a standalone Appstore mobile app, bringing the apps and games from Fire TV and Fire tablets to smartphones. The Amazon Appstore is exclusive to Android devices. It features an overhauled user interface, with a navigation bar located at the bottom of the app, as well as an increased focus on Amazon’s virtual currency, Amazon Coins. 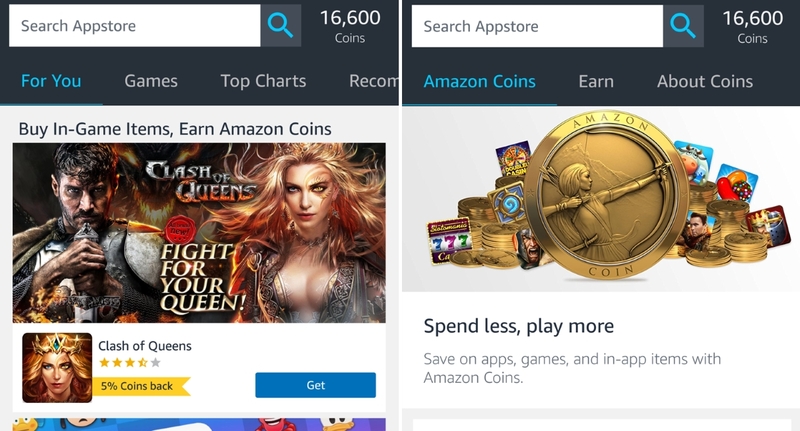 Amazon Coins, which were introduced in 2013, have got their own dedicated tab within the app and customers can now purchase coins from anywhere within the app. With Amazon Coins, customers can buy apps, games, and in-app items from the Appstore ‘for less’. Coins can be purchased from Amazon, or acquired for free as rewards in games. Those who bulk-buy coins receive larger discounts on the price of virtual currency. Either way, however customers acquire coins, developers will still earn 70 per cent royalty on purchases. For Appstore developers that have already selected to distribute their apps on ‘All other Android devices’, their apps will automatically become available to customers on the mobile app. If not, this can be toggled via the developer portal. In addition to the new Amazon Appstore, the eCommerce giant has also introduced a new Kindle app with updated look, one-tap access, and improved search bar.